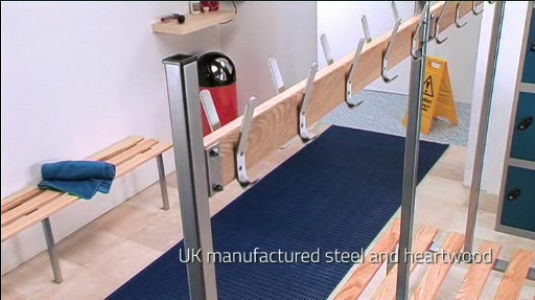 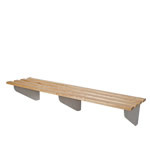 UK manufactured changing room benches. 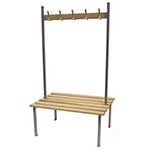 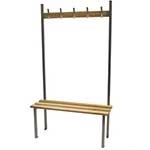 Our classic range of changing room benches represents great value for money, this range has been designed specifically to be functional and easily affordable. 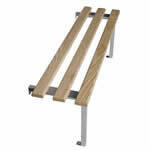 Our quality classic benches all use ash heartwood which results in a more varied grain and colour. 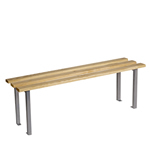 Each bench type, whether its our Classic Mono Benches or our Double Sided Duo Benches are available in several sizes ranging from 1 metre wide benches up to 3 metre wide benches, the standard seat height is 450mm and all our classic benches are all finished in silver.